Students of RISEBA have the opportunity to use Microsoft Office 365 software free during the studies or for the duration of work contract. With its assistance you will have up-to-date and secure email, store and edit online Microsoft Office documents, as well as obtain and install the newest Microsoft Office applications on your private computer (or in 5 devices simultaneously, int.al. smart-phones, tablets etc.). Office Online for Education Office. Edit and save the documents from Web browser (Word Online, Excel Online, PowerPoint Online or OneNote Online). Editing of documents is only possible if the document is saved in OneDrive service. SharePoint Online. Document storage and sharing in OneDrive service. Provides the ability to manage projects and teams, as well as to create Web pages. Exchange Online. E-mail box (50 GB), calendar and contact list. The service can be used on your computer, phone and web browser. 2. Office 365 ProPlus (Desktop). Possibility to install in your computer the newest versions of the following applications: Word, Excel, PowerPoint, OneNote, Access, Publisher, Outlook, Skype for Business. 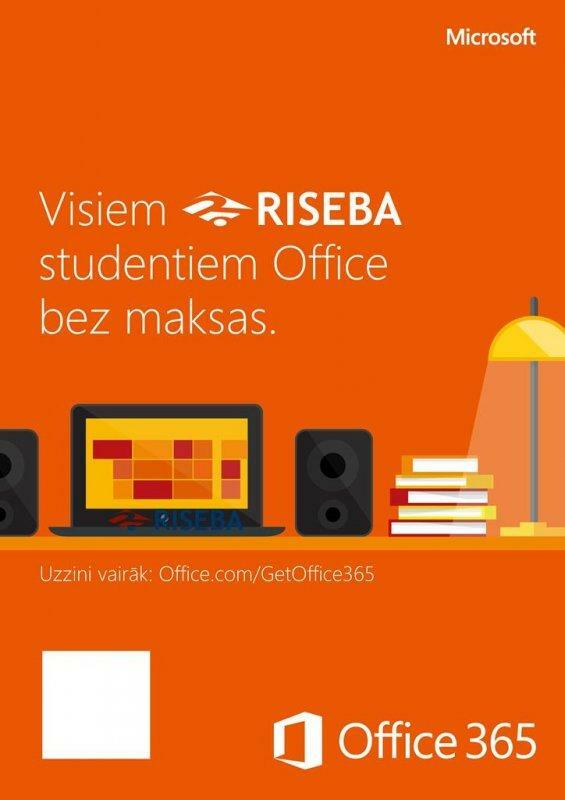 Instructions on how to connect to Microsoft Office 365 for RISEBA students, please find HERE.